Even the slowest water leaks can cause long term damage in a home, from soaking through walls and floors, to supporting environmental growth. That is why whether it’s as large as an emergency water line breakage or as simple as a faucet installation, our professional residential plumbing installation and repair services will prevent more costly trouble down the road. Having a North Carolina Master Contractor’s License enables Master Plumbers to handle any size of job in the home, ensuring that it is done to code. That is important if you want to sell your home down the road, but also if you want your plumbing to last. 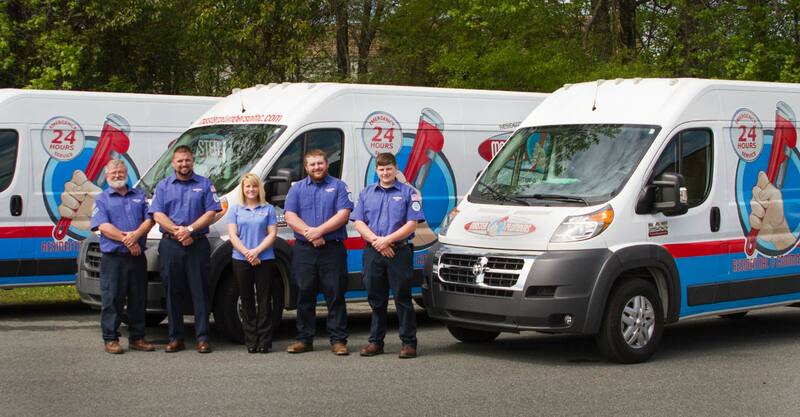 Call one of our Master Plumbers today at 336-676-5544 to discuss any immediate needs, or maybe you have some ideas for your home with which we can assist. Sometimes a job requires something new, something different, something totally unique. In addition to plumbing, we also offer a full fabrication service. Most often, we produce pieces to fit outdated, no-longer-produced sizes of pipes. However, we’re also pretty handy at creating all-new fixtures. If you have a vision, but haven’t been able to find the fixture in real life, give us a call. Call Master Plumbers of North Carolina today for any of your plumbing service needs, 336-676-5544.